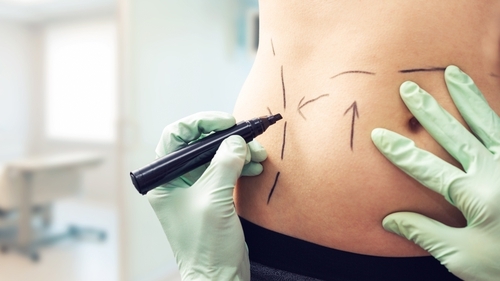 Plastic surgery in Ireland: Who is doing what and where? How do you find out more information? Have you checked your 'Safety Diamond'? From consultation to post-op care there's a lot more to consider than mere price. Taragh Loughrey-Grant went to Dublin's Blackrock Clinic to interview plastic surgeon Ms Siun Murphy and dermatologist Dr Caitriona Ryan to get their professional advice. "Plastic surgery certainly is popular although interestingly the UK data shows that plastic surgery or cosmetic surgery, a branch of plastic surgery as in aesthetic procedures is actually decreased in the last little while," Ms. Siun began. "Whether that's an indication of global fragility with Brexit, terrorism, things like that, that are influencing people not wanting to spend a huge amount, cosmetic surgery procedures has actually decreased in the UK. "Interesting all the non-surgical or lesser procedures has actually increased in their popularity." "In dermatology, I'd say the vast majority of what we do is medical dermatology but if we're talking about cosmetics alone, absolutely,"Dr Caitriona added. "I left Ireland eight years ago when botox and fillers were almost bad words and I think it's a different Ireland I've come back to. Absolutely I think there's been a huge rise in non-invasive cosmetic procedures particularly botox and fillers. What are the top procedures that people are looking for? Siun added: "I’m a mum of four kids so I think I probably attract fellow mums to my practice meaning I would do a fair amount of 'mummy makeovers'. "A mummy makeover is combined breast and tummy procedure, generally a breast lift or a breast reduction combined with an abdominoplasty." Caitriona added her view from a dermatology point of view: "If we’re talking about just the cosmetic side of things which is a small section but an important section of what we do, I think the most common procedures are botox (neuromodulators), fillers and lasers. "The medical side of things is hugely important. More and more we’re seeing people calling themselves dermatologists when they are not specialist trained. "When it comes to doing mole checks and trying to detect melanomas if somebody isn’t qualified, melanoma can be a fatal disease." Why is the cosmetic industry in Ireland not regulated? Personally, I’ve been shocked since coming back to Ireland about the lack of regulation within the cosmetic industry in general, particularly when it comes to plastic surgery. "I think as a country we’re very trusting when it comes to what our doctors say and unfortunately there are non-specialist doctors who are misleading the public in some ways. I don’t think the Irish Medical Council have really been aggressive in trying to challenging these doctors who are really impacting on the safety of our patients. "If it does go wrong what recourse do people have now?" Siun added: "Things can go wrong even with the best of surgeons so the first thing they need to do is go straight back to their surgeon, dermatologist or whoever did the procedure because usually, especially if it's a specially trained individual, they’ll be able to help resolve the issue. "If something has happened that shouldn’t have happened especially in the setting of someone who shouldn't have been doing the procedure in the first place, I think there is a responsibility with that patient to make that complaint for the sake of other people. "Often I think patients don’t realise that who they went to wasn’t a specialist until things go wrong and they do a little bit more investigative work. "I’ve had several patients come to me with botched fillers jobs that I’ve had to dissolve and the vast majority of those patients didn’t go back to the person who did it because they were embarrassed." How do celebrity trends affect your industry? Caitriona: "I think Ireland as a country, we don't follow those trends quite so much. You certainly see it in the US. "The one thing I have noticed is younger women in their early 20s now wanting lip fillers and the thing is these girls can't afford it so will take these deals and share a lip filler. They'll go to clinics and it's not necessarily a doctor injecting. So that's the one trend I'm seeing more than anything else recently." Listen to The LifeStyle Show interview with Ms Siun Murphy and Dr Caitriona Ryan above where they explain the Safety Diamond, what patients can and should do when things go wrong in addition to where people should go to get the correct information. For more information on plastic surgery visit www.plasticsurgery.ie or www.iaps.ie Also ensure that the surgeon that you have chosen is on the specialist register.